Death masks -- they have been around since the days of King Tut in Ancient Egypt, and (perhaps) Agamemnon and Cassandra in Ancient Greece. A way to remember the character and expressions of the dead, this memorial practice continued right down through the Middle Ages when wax and plaster became the materials of choice. Today, we're left with facial imprints of important historical leaders (Cromwell, Napoleon, Peter the Great); cultural giants (Dante, Shakespeare, Voltaire, Newton, Beethoven, James Joyce, Nietzsche); and some recently more departed icons (Hitchcock and Timothy Leary). 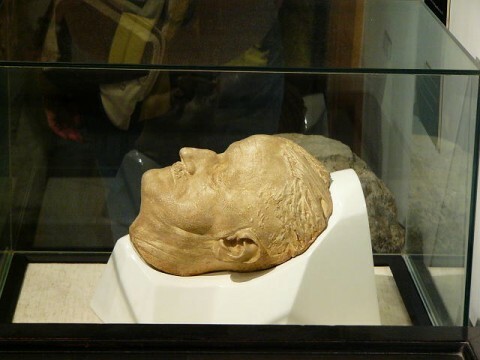 Princeton University hosts online a fairly large collection of Life and Death Masks, and the good folks at Biblioklept highlight masks of the intelligent, powerful and famous on an ongoing basis. Unfortunately these collections skew almost entirely male - a sign of the times that came before us. Above, you can see the masks of Nietzsche, Dante, and Joyce moving from top to bottom. The Napolean mask creeps me out a little, and Leary looks like his eyes are about to erupt open. Death masks seem ghoulish, but given how unreliable were painters, and how scarce many are, this is the only way for us to see what people really looked like in the past. I find them fascinating, not just for what they show us but for what they don’t. and also, who had it done and why. In the age of photography and celebrity, it seems strange and wonderful this tradition continues. I’ve watched a program about death masks which discovered that the death mask of napoleon is slightly off and was in fact a blend of both his and his illegitimate brothers face. 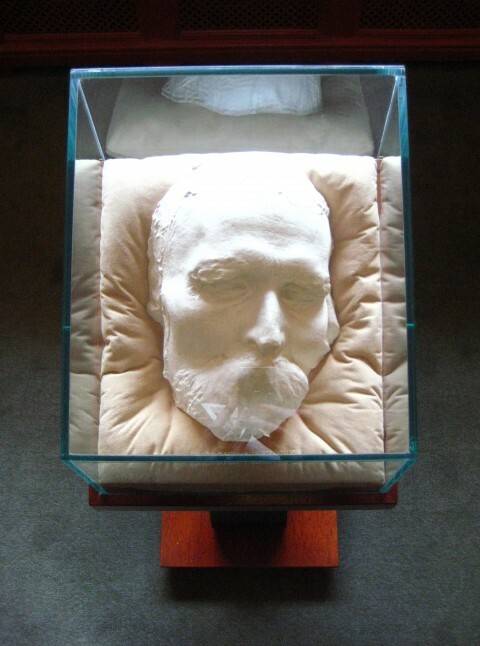 If you gaze into the Nietzsche death mask does the death mask also gaze into you. 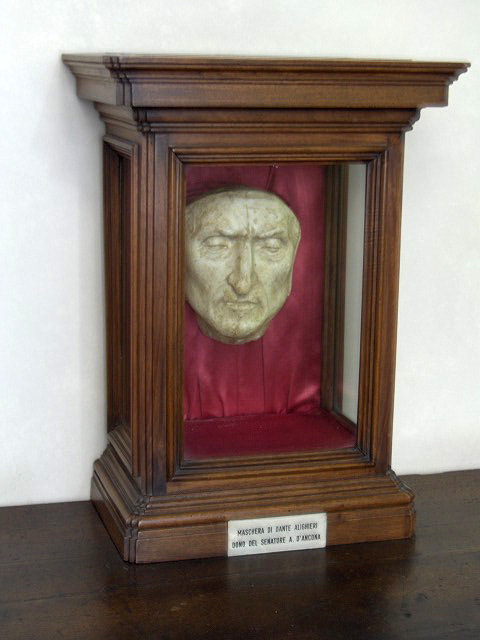 Goethe’s mask is the only which is not looking like a halloween mask, i’m glad this one was not destroyed during WWII. Dante’s mask is actually fake. Thank you! I was thinking the very same thing! I remember hearing a long time ago from a source I unfortunately can’t remember as well that Dante Alighieri actually did not, in fact, look as he’s usually portrayed; and that he had a small nose, not aquiline at all.